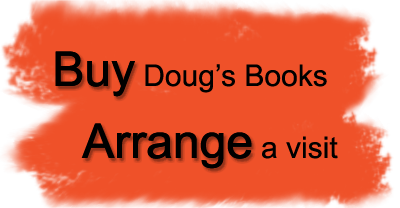 Doug Wilhelm is a full-time writer and an independent publisher in Weybridge, Vemont. His 13 novels for young adults include The Revealers (Farrar, Straus & Giroux, 2003), which has been the focus of reading-and-discussion projects in well over 1,000 middle schools; its sequel, True Shoes (Long Stride Books, 2012), and Doug's newest book, The Prince of Denial (Long Stride, 2013). What does it mean to be "published" today? Last week I wondered here how young writers will develop the working skills they need to build a career, when ever-fewer newspapers have ever-fewer editors who could give them a chance and help them hammer their stuff into shape. And here’s a related question: now that anyone can publish anything with a few keystrokes, what does it mean to be published any more? Does it, and should it, mean anything? Who’ll tell you to trim your leads? He was the classic old-school newspaper editor: gravel-voiced, always had a cigarette going, hard-nosed when he had to be but soft-hearted inside. He didn’t say a lot, but you remembered what he did say. He was a pro. “No lead needs to be longer than 40 words. Ever,” Art Swanson told me, the brand new reporter who couldn’t seem to keep a sentence from spinning into near-epic dimensions. And once, when an article of mine referred to a much-loved elderly local citizen as “the late” when he wasn’t, Art’s growl on the phone said, “never assume anything.” Also, in that same brief conversation: “You've made your mistake. Don't make another one.” I would make plenty more, of course — but never, I don’t think, another one quite as dumb as that again. I stopped into the Vermont Bookshop in Middlebury yesterday, looking for a card, and afterward I remembered what one had said. (It may actually have been a refrigerator magnet.) It said: Do one thing every day that scares you. And I thought, well, I already do. I write. This is always scary, for me. I’m used to it, but that has taken years. Publishing independently: is it worth it? That’s from the New York Times’s Wednesday obituary for Marian McPartland, the English-born jazz pianist who grew to be treasured by American jazz royalty, and then by generations of public-radio listeners, for her musicianship and her gentle, self-deprecating, humor-lifted humanity. I’m among Marian’s fans, but until I read the obit I never knew that she, having worked with the big New York publishers, grew “disenchanted” (it’s possible she might have used a stronger word) and started her own. That’s the one thing I guess she and I have in common. This summer, every current and incoming student at Lincoln Middle School in Passaic, New Jersey has been reading my novel True Shoes. Lincoln is the state’s largest grades 7-8 middle school, with about 1,800 students, and school librarian Frances King is running a discussion forum on the library’s website, the LMS Library Link (http://fking.edublogs.org/), on which the summertime readers can comment, ask questions, and discuss. At first when our teacher said we had to read this summer I was so mad. I thought the book was going to be boring but it’s not. It turns out the book is very interesting. Does being a bad parent help you be a great writer? One of the very first authors who really turned me on was William Saroyan, the warm jazzy humanism of whose novels and stories opened me up, when I discovered them in ninth-grade English, to what fiction writing can do. As much as Saroyan had meant to my own work, that was almost as much as I was dismayed and disappointed to discover that, as a father, he was a nasty piece of work. That’s the picture convincingly painted in Aram Saroyan’s 1984 memoir, Last Rites: The Death of William Saroyan as Chronicled by His Son. When I found that book in a library, many years after ninth grade, I hunched over it expecting to find the open-hearted energy that gives the best work of Aram’s dad a creativity-stirring impact not quite like anyone else’s, at least for me. But then here was Aram — whose own name William had pilfered to title his best-known story collection, My Name Is Aram, in 1940 — writing that his dad was cold, selfish, degrading, and just downright mean to his ex-wife and his children. I didn’t know what to make of that. I still don’t. What brought this confusion back was reading an article, in the July 22 New Yorker, on four other memoirs by children of famous late-20th-century male novelists, each of whom seems to have make his work so complete a priority that his kids have, to varying degrees, paid the price. The books are Home Before Dark, 1984, by Susan Cheever; My Father Is a Book, 2006, by Janna Malamud Smith; Reading My Father, 2011, by Alexandra Styron; and the new Saul Bellow’s Heart: A Son’s Memoir, by Greg Bellow. “Do great novelists make bad parents?” asks the subhead to James Wood’s article. Personally, reading his piece led me to ask a different question. How often would a woman novelist give herself permission to disregard, even degrade, her own children in favor of her work? Today, July 3, is the 150th anniversary of the climactic third and last day of the Battle of Gettysburg, the horrific hinge on which our Civil War turned — as did, very arguably, the evolution of human rights on our planet. If on this day the Confederate troops of Pickett and Pettigrew had broken past the Second Vermont Brigade at the Bloody Angle on Cemetery Ridge, there was very little to stop Lee’s army from pushing the 87 miles to Washington, D.C., to win the war and save the cause of slavery. But that didn’t happen. The Union line held long enough for reinforcements to arrive — and today we are a (more or less) united country. In the 150 years since that awful day, we have advanced in our laws the human causes of ending slavery, of women’s right to vote, of civil rights and, just lately, of gay rights. This is a momentous anniversary, and our lives are all linked to it. The Manhattan Rare Book Company has a very short book for sale, from 1924. It has just 32 pages, and — you can see it here — it’s one of only 170 printed copies. The book was written by an unknown young writer, and most of its 18 “chapters” are just one paragraph long. The chapters are not directly connected, as in a story — they’re more like glimpses of scenes. Their language is simple, spare. You can buy the book for $39,000. Analog music is coming back. What does that say about digital reading? I like to look for parallels between what has unfolded in the music industry and what seems to be happening in the book world. Music, its production and consumption, went digital a few years ago, and so to a great degree has the world of books and reading. The way we make books — from the writer transmitting the text for editing, to the publisher sending final layout to print — has entirely gone digital, and many of us readers — more and more, many say, an irrestistible wave — are reading books digitally. As with music listening, many say, the old way of reading is on its way out. Forever. If creativity is play, how can we make it work? This advice is excellent — but it also made me wonder. When your livelihood depends on your creative output, how do you still make it about play? There was a period when I was obsessed — were you? — with the Hardy Boys. I look at my local library’s shelf-and-a-half that's crammed with the classic books, with their cheesy thin type on royal-blue spines, and everything comes back. The Hardy Boys was the first series I wanted to live in and never come out — just keep on sleuthing those mysteries that kept entangling Joe, Frank and their chums back in old Bayport, which for a classically friendly American town had a really amazing number of criminals and conspiracies. I had to think about that. I’d been a pretty good reader in elementary school, and in high school I got very busy on the school newspaper; but in between those times, something happened. What was it? Then I remembered. It was Mr. Behr’s class. When The Great Gatsby was published, on April 10, 1925, F. Scott Fitzgerald, living high in France after his early success, cabled Max Perkins, his editor at Scribners, and demanded to know if the news was good. Mostly, it was not. The book received some reviews that were dismissive (“F. SCOTT FITZGERALD’S LATEST A DUD,” a headline in the New York World ran) and others that were pleasant but patronizing. ... For a writer of Fitzgerald’s fame, sales were mediocre—about twenty thousand copies by the end of the year. Scribners did a second printing, of three thousand copies, but that was it, and when Fitzgerald died, in 1940, half-forgotten at the age of forty-four, the book was hard to find. Thousands of books are published each year, and the truth is nobody knows which ones will live on — which will find a permanent place on bookshelves, in bookstores, in libraries and in our hearts and minds. Nobody knows. Then you settle together into a picture book. And in that closeness of reading out loud, in the sharing of a story, the pointing to favorite places on the pages and the gradual shared relaxation, comes the redemption of everything. These times can be so warm and sweet that, years later, they’re almost too poignant for the aging parent to remember. And if you should one day spot one of those favorite books, or hear about someone else’s read-aloud memories, it’s like finding the memento of a long-ago love affair. Because, really, that’s what it was. "You should write a story about ..."
Writing for young adults, and talking with middle schoolers on school visits, gives me glimpses like little windows into American life today. Early adolescents may not yet be paying bills or carrying mortgages, but they very often feel the crunch of family stress, and the tension between hope and fear or dreams and despair, more intensely than they ever will again in their lives. They see things clearly — often things they can only live with, that they have no power to change. Last week I shared some entries that middle schoolers had made in my pocket notebook, after I'd talked with them at their schools over the past year or so. Today I’m looking at a small stack of lined paper, each sheet the size of an index card. Eighth graders at a school in suburban-rural New Hampshire each wrote an idea for a realistic novel on one of these pages, after we talked recently. Their teacher then sent the stack to me. If you were to make another story Mr. Wilhelm I think I would be an interesting character because I am fabulous and myself. I am bold and out there. My name’s Nathan. I am friends with 8th grade girls middle popular. 7th grade popular girls, middle popular. I can’t ever be mean because I feel too bad after the fact. Guys that are jocks make fun of me and I am a good singer (decent), play trumpet, do drama, and that’s me. That’s written in purple ink on a slip of notebook paper. On a school visit recently, a boy came up after a classroom session and handed it to me. I’ve had the flu this week, and when I don’t feel well I turn to humor. Written humor, not YouTube videos (though I’m not averse to those, and I’m a regular online watcher of “The Daily Show”). I have a bookshelf that’s a collection of the American humor writers who have meant a lot to me, from Robert Benchley and James Thurber to Calvin Trillin and, yes, Dave Barry — but the guy I love most when I’m sick was English. P.G. Wodehouse. When I first saw that mindfulness, the practice of moment-to-moment awareness, can make your life suddenly snap to life, I was walking on a street in New Delhi on an ordinary morning, in the neighborhood near the railroad station where the travelers’ hotels are. I was 22, and I thought: I just figured it out. Innovation and communication are keys to success in the 21st century economy, and employers consistently call for schools to develop these skills in young people. But among the toughest challenges that educators face is how to do that well — especially how to teach the creative process, the more so at a time of bone-cut curriculum budgets. As an author of 14 novels for young adults, and a self-employed professional writer for almost 30 years, working with the creative process to get stuff written effectively is what I do. Can I share what I’ve learned about how to do it? I think I can — and I believe I just have.